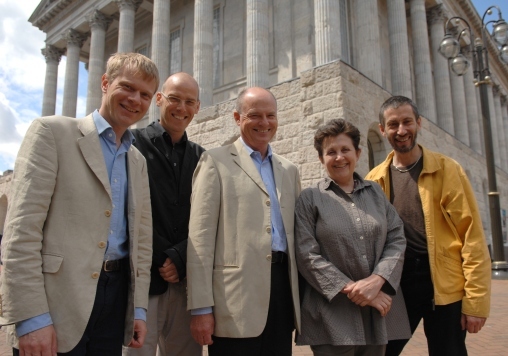 The Fatherhood Institute, which launched in January 2008, is the UK’s fatherhood think-tank. We collate the best available evidence about fatherhood, and strive to get it embedded in government policies, family services and employment practice across the UK. Research suggests that fathers’ influence on their children is profound. Even fathers who are ‘not known’ loom large; and the more involved fathers are in their children’s lives, the closer and better their relationship tends to be. Studies also tell us that both mothers and fathers want fathers to play a much more active role than was usual a generation ago. So we are working to make it easier for mothers and fathers to share caring and earning for their families, through measures such as more father-inclusive maternity services, a fairer system of leave entitlements, public services that systematically engage with men as fathers, and employer practices that recognise that most men are dads. To read our main summary of the research about the importance of fathers and fatherhood, click here. To read a summary of our policy goals, as outlined in the document with which we launched the Fatherhood Institute in January 2008, click here. A small and forward-thinking charity (reg. no. 1075104), the Fatherhood Institute uses tele-working technologies to operate as a ‘virtual’ organisation. Our core team (for more details click here) all work from home – based in locations that include London, Northampton, South Wales and Manchester – via email and phone, with frequent team meetings and other face-to-face meetings, often taking place in Birmingham. We are supported by a central secretarial/administration agency and an IT support company, both based in Abergavenny. To read about our board of trustees, click here. The Fatherhood Institute came into being in January 2008. 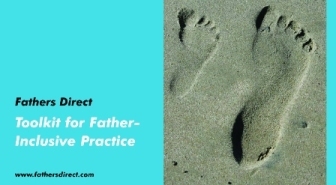 We are a successor organisation to Fathers Direct, which was originally established in 1999. To read a brief history of Fathers Direct click here. The Fatherhood Institute addresses itself to policymakers and professionals, but through a separate partly-owned company, DAD Info, we also provide information directly to fathers and their families. To find out more about DAD Info click here. Based on extensive and regular reviews of international evidence, the Fatherhood Institute’s vision is for a society that acknowledges and acts on the powerful research evidence that suggests children thrive when they have a strong and positive relationship with their father and any father-figures. As such, it aims to support both mothers and fathers as earners and carers, and to prepare boys and girls for a future shared role in caring for children. • To change work so that fathers can be more available to care for their children. We want to see more fathers, including fathers on low incomes, working flexibly and part-time, and taking more leave off for caring. • To change education so that boys are prepared for future caring roles and boys and girls are prepared for the future sharing of these roles. We want to see children and young people discussing gender inequalities and understanding that mothers and fathers experience pressure to specialise in caring and earning roles, and that mothers and fathers should have a similar range of choices over their caring roles, not limited by gender. We want to see more encouragement of boys into childcare careers. • To change supports to family life so that the caring role of fathers and father-figures is recognised and strongly supported. We want laws, policies and public services to encourage and enable fathers to invest more of their time and energy in the direct care of their children. We want all health, education, family and children’s services to be “father-inclusive” – that is, to support fathers in their caring roles as seriously as they currently support mothers. • We lobby for changes in the law, in Government policy and in the targets set for public services that support families, while paying particular attention to families who are disadvantaged. • We help employers and public services to change, by providing them with information, advice and training; by assessing and evaluating their policies and practice; and by piloting new practice. • Through DAD Info we provide information directly to fathers, while raising funds to ensure that this reaches fathers who are likely to be excluded from receiving such information. • In order to achieve change in all the above, we intervene in, and seek to change, the public ‘discourse’ about motherhood and fatherhood. • We ensure that the four activities identified above are informed by a solid, balanced and comprehensive body of evidence, readily accessible to ourselves and to others. We consult with experts and, where necessary, commission research in order to achieve a good understanding of the issues we address. We evaluate our own work in order to build our understanding. The Fatherhood Institute’s work extends across a wide range of policy areas, and in 2007-08 we have exerted influence way beyond what might be expected for an organisation of our size. Our chief executive serves on five top level policy advisory groups on family and child health policy in the Department of Children, School and Families and the Department of Health. We meet regularly with Ministers and have been working hard to develop and maintain a relationship with the Opposition (this year we contributed to, and were mentioned in, Iain Duncan-Smith’s Centre for Social Justice report, and met with other leading Tory frontbenchers including Tim Loughton, Maria Miller and Michael Gove). We published detailed proposals for changes to the birth registration system, which formed the basis of the Government’s White Paper (published in June 2008). To read our proposals click here; to read our analysis of the Government’s proposals, click here. Our chief executive sat on the Maternity Matters Advisory Group at the Department of Health, where he presented research findings on the health impact of engaging with fathers. We sent copies of our Including New Fathers guide to every maternity unit in the country, and sent our midwifery training module to every training provider; the University of Central Lancashire has now created a postgraduate course for midwives based on this module. 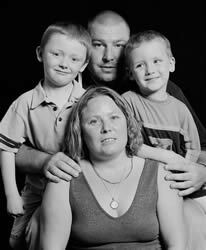 We prepared for a major Fatherhood Institute campaign about fathers in maternity services, launched in April 2008 (for more details click here). We also continued to develop our Hit the Ground Crawling pilots, which are an important example of an approach that sees the father as a parent separate from the mother (for more details click here). We substantially revised the Government’s new Child Health Promotion Programme, which forms the basis of the health checks that midwives and health visitors carry out on children; a whole page of the document is quoted directly from Including New Fathers. We have opened up a new debate within the policy-making community and in the press, about leave entitlements and the pay gap. This focuses on the fact that, with a huge disparity between paternity leave (2 weeks) and maternity leave (52 weeks), the current system penalises women by effectively forcing them into staying off work to look after the children, with a consequent negative impact on their earning potential; not to mention the limiting effect it has on men’s ability to be active fathers at this crucial time. We made this argument at conferences including the Working Families conference, in press articles and in the broadcast media (including Radio 4’s Woman’s Hour); and in meetings with Secretary of State for Equalities Harriet Harman and Equality Minister Barbara Follett. We also contributed to the DCSF’s Childcare Strategy Working Group. We advised substantially on the Government’s flagship Children’s Plan, via our participation in the Children’s Plan Expert Group – chaired by Minister for Children Beverley Hughes. We negotiated some strong ‘hooks’ in the plan for work with fathers, including around fathers’ involvement in children’s education and a commitment that where parenting support is delivered it should be inclusive of fathers. We commissioned a legal analysis of the Gender Equality Duty and family services. We advised DCSF on an audit of the effectiveness of family policy implementation, which found that policies around fatherhood are not working. We sat on the Wales Fatherhood Working Group. We participated in the steering group of the Family Rights Group Fathers Matter 2 project – which aimed to gather evidence on how social care agencies engage with dads, and develop models of good practice (for more details click here). We contributed to the Department of Health’s Victims of Violence and Abuse Prevention Programme (VVAPP), which was set up to map services available to victims, in response to the high prevalence of domestic and sexual violence and abuse and the evidence of mental and physical ill health associated with this. We also sat on Respect’s steering group to set guidelines for domestic violence perpetrator programmes, and endorsed the resulting standards (for more details click here). We contributed substantially to the Cabinet Office Social Exclusion Task Force’s Think Family initiative – which focuses on adult and children’s services working together to provide a holistic response to children’s needs, and led to the launch of family pathfinder pilots (for more details click here). We also helped develop the Men’s Coalition – a partnership launched in November 2007 by a group of agencies (Men’s Health Forum, Respect, Fatherhood Institute, Men’s Advice Line, Relate, the Research Unit on Men and Masculinities at Bradford University, NCH and the White Ribbon Campaign) to ensure public policies take full account of the specific needs and experiences of men and boys (eg across health, parenting and caring, relationships, education, employment, crime and violence). We produced research briefings on young fathers (to read this briefing click here) and on fathers and anti-social behaviour (click here), and our chief executive attended the Prime Minister’s roundtable on youth crime strategy. The PM asked questions about fathers and ante-natal support. The teenagers at the event thought all parents should have to attend compulsory parenting training! We organised several joint statements to ministers and for the media. One, an open letter to the then Prime Minister-in-waiting Gordon Brown and published in The Times (to read it click here) brought together 30 signatories ranging from Women’s Aid to Families Need Fathers, and called on the government to ensure good services for separated families. The resulting news story (click here) was picked up by the BBC’s flagship children’s news programme, Newsround, which went on to run a series of features on children’s experiences of family separation. Another letter (click here) called on the Government to pilot more effective approaches to supporting separated families, as part of its new child maintenance system. Training and Consultancy form a major part of the Institute’s work; we provide father-inclusiveness training for hundreds of family professionals every year, and work at a strategic level with local authorities to help them develop services in ways that recognise the crucial importance of fathers and fatherhood. To find out more about our training courses click here. So in total we trained 754 people during the year. And the vast majority of them were delighted with the training they received! Overall 76% of people who attended our training events rated them either excellent (27%) or very good (49%). During 2007-08 we also ran two x 2-day Hit the Ground Crawling courses – to train up practitioners in how to deliver our peer-mentoring scheme for expectant dads. We delivered 16 workshops or speeches at events/conferences (in many cases to hundreds of people at a time) and 35 days’ worth of consultancy – including running a regional fatherhood conference for Newcastle City Council (for more details click here), a course for family liaison officers and a pilot course for social work practitioners developed with the Family Rights Group. During the year we worked hard to create capacity for delivering more training in the future – by recruiting and training up a total of 10 new trainers. We also developed a new training manual and began to develop systems for supporting and assessing the pool of trainers. Collating the latest research evidence on fathers and fatherhood is a key element of our work as an Institute – providing us with the building blocks on which to develop our policy work, training courses and publications. In the autumn of 2007 we published our main research summary The Costs and Benefits of Active Fatherhood, and from this we produced several more specific research summaries, now hosted on our website. These include Fathers’ Influence Over Children’s Education; Fathers and Breastfeeding and Fathers, Mothers, Work and Family, for example. To access all our research summaries click here. We produced a new research summary on Anti-Social Behaviour and Fathers, to help inform ongoing and future policy work around fathers/fatherhood and crime; we also provided background research material for other policy work. This included a research summary aimed at professionals and the media, called The Dad Deficit, for our Maternity campaign and a more general summary of our policy stance for our relaunch as the Fatherhood Institute, called The Difference A Dad Makes. We also continued to provide research advice to civil servants, the press and TV production companies; and participated in a research advisory capacity for several external research commissioning bodies, including the ESRC. We produced the Toolkit for Father-Inclusive Practice – a ground-breaking, boxed set of 15 colour-coded cards which chart eight logical and easy-to-follow steps for developing father-inclusive practice. Included in the Toolkit is a Research Summary of the benefits of father-inclusive practice to children and mothers; a Legal Briefing (which explores issues of confidentiality, data collection and Parental Responsibility); and Resources sections. The Toolkit helps policymakers and practitioners meet the strong policy requirements for father-inclusive services coming from the Department for Children, Schools and Families, and elsewhere: in the Children’s Centre Guidance, the Childcare Act 2006, the National Services Framework for Children, Young People and Maternity Services, the Teenage Pregnancy Strategy, the Gender Equality Duty (in the Equality Act, 2006), and so on. By the end of March we had sold nearly 1,400 copies, with several bulk orders including one from Canada. The DAD Pack is a smart, rectangular, cardboard container, slightly larger-than-A5 in size, and packed with stylish, colour illustrated cards and posters. It is designed for practitioners to hand out as part of their service’s in-depth engagement with fathers, and many buyers have reported that it is especially useful when dealing with dads in vulnerable families. The DAD Pack has been a massive hit and in 2007-08 entered its second and third print-runs. Early Years DAD Card: a credit card-sized folding card which opens out, concertina-fashion, and contains bite-sized nuggets of information to provide dads with confidence-building facts, figures and advice – reassuring them about their significance and skills, encouraging them to think positively about their fatherhood and pointing them towards the Dad Info website, www.dad.info. Maternity DAD Card: a similar product but aimed at expectant fathers and designed for distribution by maternity units. Black and Minority Ethnic DAD Cards: aimed at fathers from specific British BME communities – Afro-Caribbean, Muslim, Somali, French-speaking West African, Bengali and Polish. These are being distributed for free by maternity and other services. We continued to keep our website well stocked with the latest news, research, policy updates and practice tips, and added 20 new case studies through the year. We also compiled and sent out an average of two e-newsletters/e-shots per month, keeping our database of practitioners, senior managers and policymakers up to date with the latest research, policy and practice news in the fatherhood field. If you would like to sign up for our e-newsletters/e-shots, please click here to register with us. Our accounts for 2007-08 are currently with the auditors but will be posted here as soon as they become available. If you would like to register to receive an email alert when the accounts are available, please send us an email.